Do you thing it is our real Christmas?…. if our a brother or sister be naked, and destitute of daily food, and one of you say unto them, depart in peace, be ye give them not those things which are needful to the body; what doth it profit?…… (James 2:15-17). Greeting from Jesus Vision Ministries. Grace and peace to you from our God! Who celebrate the Christmas with poor? Pakistan is pro-Islamic country. As the Christians are only 1.7% of the total population 16 million, they suffer because of their faith. “Jesus Vision Ministries is committed to helping hurting people around the Pakistan, who live their life below poverty line. Our goal is to reach more and more people, every day with the life-changing Gospel of Jesus Christ. We cannot do this alone. Our friends and partners make it possible through their prayers and financial support. We take our role in fulfilling the Great Commission very seriously and are dedicated to ensuring your donated funds are appropriately applied toward ministry efforts. Our goal is to gain even more momentum… To reach and help more children, more families, and more hurting people than ever before. As we each do our part, needs will be met… lives will be restored… and God will be glorified! Making a difference in the lives of other is something we will never regret. We are so excited about our special week of “Enjoying the Real Christmas Joy”. We are always loved to celebrate Christmas with the hurting and poor Christian every year. 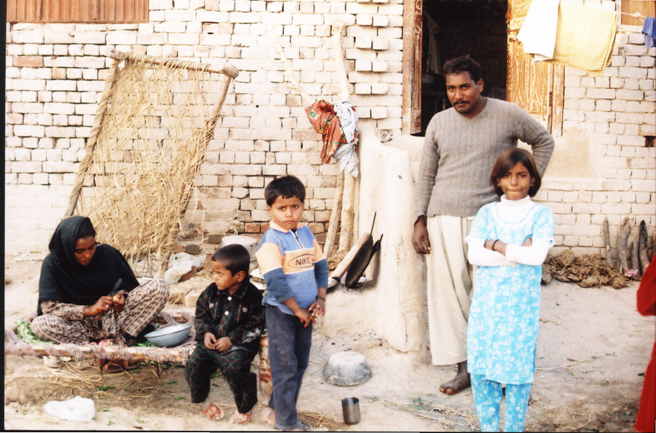 Last year we celebrate the Christmas with the hurting and poor Christian 25 families in Mandiala Shiekhupura Pakistan. We distributed the cloths, food to the poor people and we also cut the Christmas cake with them. Praise the Lord all glory to the God, We can’t imagine their joy after they celebrated the Christmas with us. Unforgettable movements in our life, People eyes filled with tears when they heard the word of God after 20 years. They said no body came to give us the message of God because we are poor. We need to do more for them this year. They is our chance to show God’s love together we are helping of all ages…all over the Pakistan. God is miraculously opening doors to spread His Word in Pakistan, like Mandiala village in Sheikhupura Pakistan. In 2006, 82 percent of our total expenses were used for outreach and program services toward reaching people with the Gospel of Jesus Christ, as attested by independent accounting firm Zahid, Jameel & Co. This Christmas JVM Founder and Director Pastor Shabbir Barkat and all team of “JVM” will celebrate Christmas with the God’s people in Mandiala and more 5 villages. The people of Mandiala celebrated the Christmas last year after 20 years. Now we are running a church in that area on regular basis, adult school, and Sunday school and Sunday services by the grace of the God. The write in Holy bible: When you give feast (of Christmas), invite the poor, the maimed, the lame, the blind, and you will be blessed, because they can not repay you. You will be repaid at the resurrection of the just.” Luke14:13-14. On this historic event, all those who want to help these people are invited to contribute to enable “JVM” to celebrate Christmas, the birth of the Prince of Peace Jesus Christ, with His people in Mandiala and five other villages. Please donate generously to help the discovered Christians on this Christmas. There are 100 families in 5 villages and total 450 people including children. JVM will distribute food, cloths and shoes to these people. In addition, we wish to move in more neglected, poor Christian areas like the village kalokee, glory colony, afzabad, farooqa abad. More than 500 Christian families are living in these villages. We need your prayers and financial sport because we cannot do this alone. As this is winter season, people need warm cloths and shoes. The cost per family is Rupees, 3,000 (US $ 50) to provide cloths, shoes and food for the Christmas season. Your single penny contribution can save many souls and may source of joy at this Christmas. Please pray for them also, they have to grow in faith and have to be His ambassadors in that environment. God bless you and Happy Christmas from Jesus Vision Ministries.